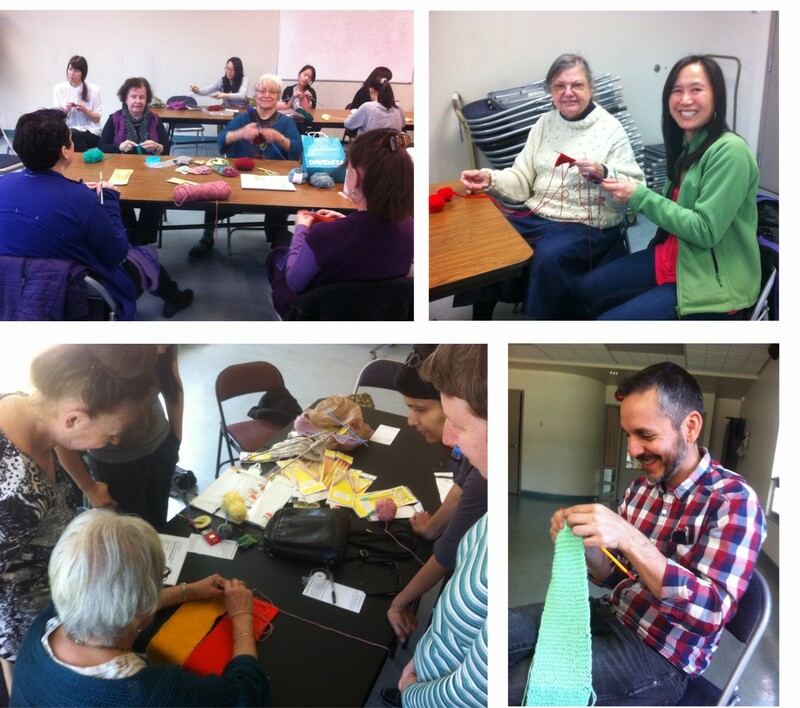 During a year-long artist residency at the Dunbar Community Centre, I facilitated a series of knitting workshops, in which participants shared knitting skills, teaching one another how to knit. All skill levels participated, new and experienced knitters alike. It total, 37 participants created 50 individual knit sections that we stitched together to create a collectively-made “knit painting”. The completed textile is on display in the lobby of the Dunbar Community Centre.